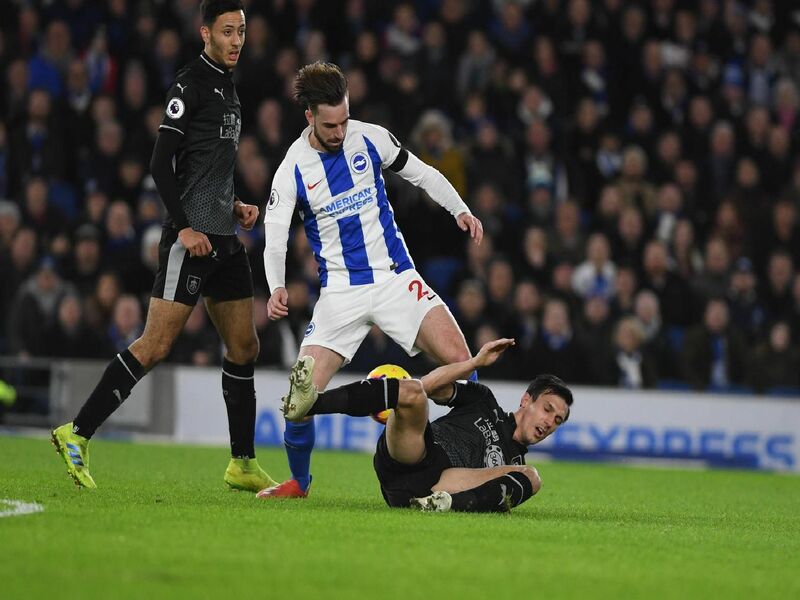 Brighton & Hove Albion suffered a disappointing 3-1 Premier League defeat at home to Burnley this evening. Here's how we rated the players of both teams. Chris Wood scored a brace for the Clarets, before Ashley Barnes made it 3-0. Shane Duffy got Albion's consolation goal 14 minutes from time. Looked to get forward from left-back. Lovely cross set up March for early chance. Brave challenge to stop Bardsley from shooting shortly afterwards. Back in the starting line-up after missing two games with a hip injury. Looked to keep things simple in front of the back four. Unable to stop McNeil setting up Wood for Burnley's second. Made a bright start but faded the longer the game went on. Had a sweetly-struck volley superbly saved by Heaton. Subbed. Always an option for team-mates to pass to but had a quieter game than in recent weeks.